End of September and October generated a small listing of photographs by black photographers at auction with Swann Auction Galleries and Phillips. Here’s a quick round-up of the results. Photographs by James Van Der Zee (1886-1983) were featured at Swann Auction Galleries, October 6th sale of African-American Art. Portraits of the Barefoot Prophet (Lot 9) and Hazel Scott (Lot 10) were sold at auction estimates, $2,860 and $ 3,250. And a portfolio of eighteen (18) silver gelatin and sepia prints (Lot 11) sold for $ 87,500, surpassing the auction estimate of $30,000 – 50,000. From the online catalogue: A handsome portfolio, published by Harry Lunn, Jr., with iconic images from VanDerZee’s photographic career. It includes various subjects of the Harlem Renaissance, as well as studies of Marcus Garvey, Daddy Grace, and formal family portraits. Prentice Herman Polk (1898-1985), Lot 14, a portfolio of eleven (11) prints featuring such commonly published images as The Boss (1932), and The Pipe Smoker (1932) sold for $ 13,750. From the online catalogue: Edition of 60 numbered copies. Each signed in ink, lower right. Signed and numbered 18/60 on the title page of the introduction. Published by South Light, Gladewater, Texas in 1981. 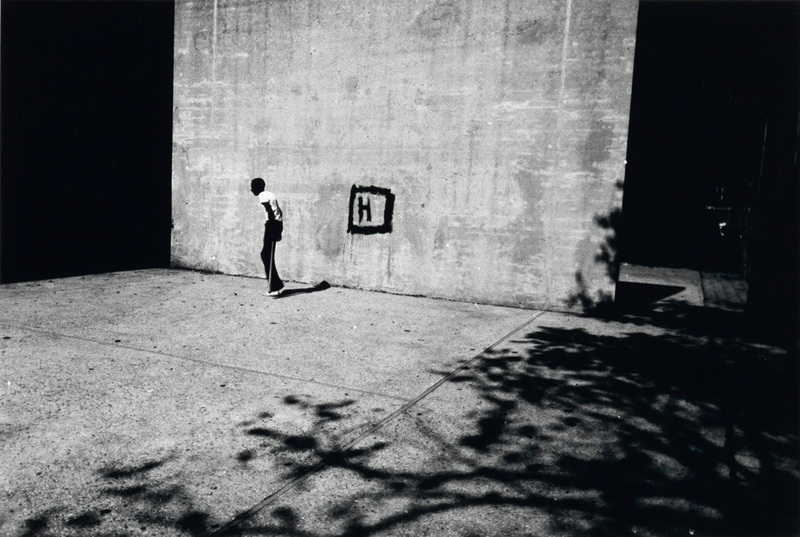 Lot 67, Boy and H, Harlem (Stickball) by Louis Draper (1935-2002) sold for $3,000 its low estimate. Draper was a founding member of Kamoinge, a New York-based black photographers collective, active 1963 to the present. Carrie Mae Weems’ (1953-) work represented in Lots 142, Mirror, Mirror, and Lot 165, Tell me, I beseech you, when I casted my vote to you, did I cast it to the wind?, sold for $ 25,000 and $2,000 respectively. Each realized the low estimate. Phillips’ Photographs Evening & Day Sale, October 5 & 6 featured Roy DeCarava’s Arnette, NY, Lot 103, which sold for $ 16,250, the auction estimate. Phillips is holding two photography auctions in October that feature the work of Chester Higgins, James VanderZee, and Carrie Mae Weems. Both auctions take place on October 1st in New York. 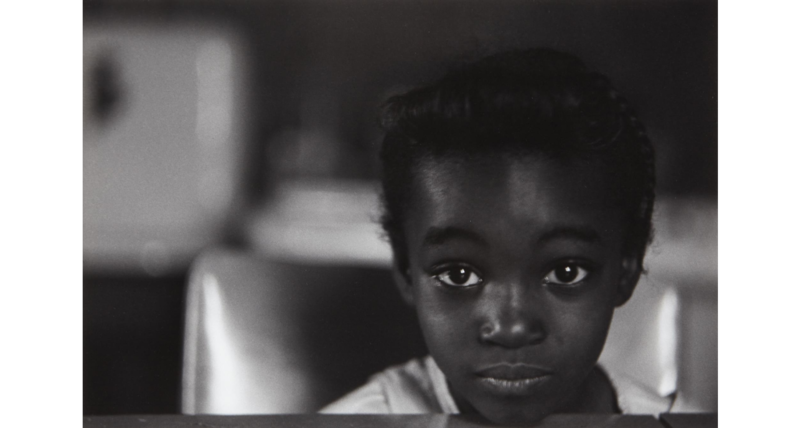 In the Photographs auction, Weems is featured in three black & white prints from the Kitchen Table Series, 1990s. Lots 284, 286 and 287 have estimates starting at $ 3,000 to $ 25,000. Weems is featured in each photograph. Print sizes are from 19 x 18 7/8 to 26 7/8 x 26 7/8 inches. Chester Higgins’ Muslim Woman, 1990, is estimated at $ 7,000 – 9,000 in the same auction. In Photographs from the Collection of the Art Institute of Chicago, James VanderZee’s Portrait of a Harlem Preacher, Daddy Grace, 1938 and Untitled (young black woman with studio background), 1931 are featured in Lot 21. The two silver gelatin prints are signed and dated or stamped in ink on the recto: G.G.G. Photo Studio, Inc. The print is estimated at $ 2,000 – 3,000. New York City was fortunate to have two premier art institutions host a retrospective and body of work by the esteemed American photographer, Carrie Mae Weems. Her work was recently seen at the Guggenheim Museum, Carrie Mae Weems: Three Decades of Photography and Video, and at the Studio Museum of Harlem, Carrie Mae Weems: The Museum Series, ending Sunday, June 29. The Guggenheim show has a handsome catalog. Untitled (from the Kitchen Table Series), 1994, 3/25. Silver gelatin print. Wright Auctions (Chicago, New York): Art & Design. 2/27/14, Lot 218, Est. $2,000-3,000. Sold: $3,825. The Kitchen Table Series: Untitled (Eating Lobster), 1990, 4/5. Silver gelatin print. Phillips (New York): Contemporary Art Day. 5/16/14, Lot 253, Est. $8,000-10,000. Sold: $27,500. Jim, If You Choose To Accept, The Mission Is To Land On Your Own Two Feet (1990), 2/5. Silver gelatin print. Christie’s (New York): Post-War and Contemporary Art. 5/14/14, Lot 331, Est. $10,000-15,000. Sold: $20,000. Untitled (Woman and daughter with children), 1990, 4/5. Silver gelatin print. Phillilps (New York): Photographs. 4/1/14, Lot 253, Est. $5,000-7,000. Sold: $32,500. The transformation of photography in the last decades is nothing short of revolutionary — and has been driven largely by the marketplace in art photography that began in the 1970s. This panel [presented at the April 2013 Association of International Photography Art Dealers show in New York City] explores the 40-year-old photo market with leading experts. Speakers: Catherine Edelman, Catherine Edelman Gallery, Chicago; Celso Gonzalez-Falla, chairman of the board, Aperture Foundation; Duane Michals, artist; Susanna Wenniger, senior specialist, photography, Artnet. Moderator is Jill Arnold, director, business development, AXA Art Insurance Corporation. In preparation for next month’s photography fairs, exhibits, and auctions, African Diaspora Photography wanted to share information on some of the top black photographers in the photography market. The first is Carrie Mae Weems. In this video segment of Art21, Ms. Weems discusses the life blood of her photography work: narrative and storytelling.